Małgorzata Barańska is associated with the Faculty of Chemistry UJ since her chemical studies. At this faculty Małgosia got her MSc degree (Studies of methan oxidation on the Pd/SiO2 catalyst, 1992), PhD degree (Studies of molecular structures of cimetidine and famotidine and their complexes with metal ions by means of spectroscopic techniques, 1999) and DSc degree (Application of Raman mapping to in situ analysis of bioactive compounds, 2007). In her work Małgosia focuses on research of bioactive compounds by means of spectroscopic methods, particularly modern Raman techniques. The scientific projects that she realizes are concerned with analysis of secondary metabolites of plants that have applications as drugs, pigments or spices. Recently, Małgosia is also particularly interested in research of pigments and natural dyes used in conservation. The very new direction of her research is related to development and curing lifestyle diseases, specifically finding new drugs of endothelium bioactivity. These research will be realized as a part of newly-opened Jagiellonian Centre for Experimental Therapeutics (JCET), of which she is a member. 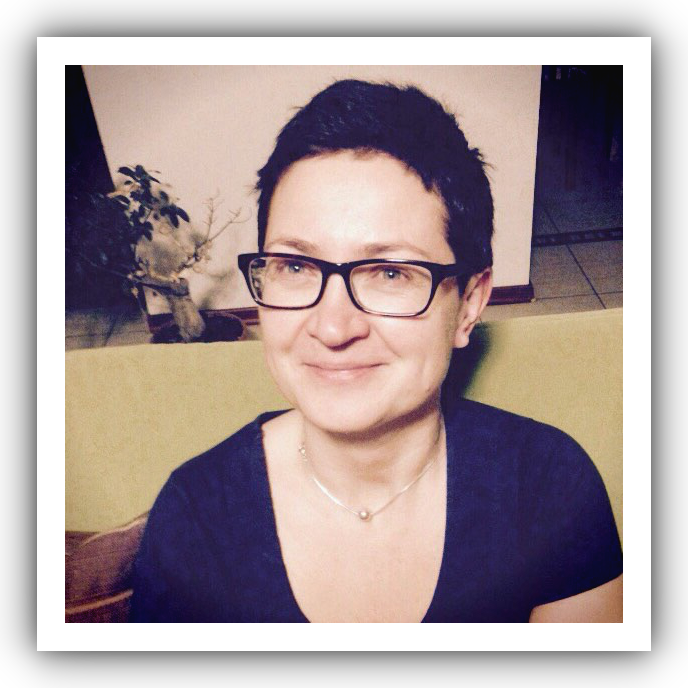 Agnieszka Kaczor is a postgraduate researcher in the Faculty of Chemistry UJ. She graduated with the PhD from the Jagiellonian University in 2003 (Studies of molecular structures of some hydroxamic acids and their complexes with metal ions by spectroscopic methods) and in 2013 she obtained the DSc degree from the University of Warsaw (Spectroscopic study of monomeric structures of chosen groups of compounds isolated in low-temperature matrices – structural and photochemical aspects). The scientific interests of Agnieszka concentrate on application of vibrational spectroscopy and multi-technique imaging to study of biological samples. Recently, she focuses on research in the microscale using Raman, AFM and SNOM imaging as well as application of Raman Optical Activity (ROA) to study biologically active compounds. Scientific interests of Kamilla started with modeling of absorption properties of molecular crystals in the Theoretical Chemistry Group. Kamilla has been continuing research on the border of theory and experiment in the field of vibrational spectroscopy since doctoral studies. She obtained her PhD degree in 2003 for the dissertation entitled “Application of molecular spectroscopy methods to determine structures of oximes and their complexes with Ni(II) and Cu(II) ions”. Her research concentrates nowadays on studying of bio/medically important molecules with the surface of Ag and Au (SERS), and Raman mapping along with infrared imaging of biological material and wall painting. Katarzyna M. Marzec received her BSc (2004), MSc (2006) and PhD degrees (with honors, 2010) at the Faculty of Chemistry at Jagiellonian University, Poland. 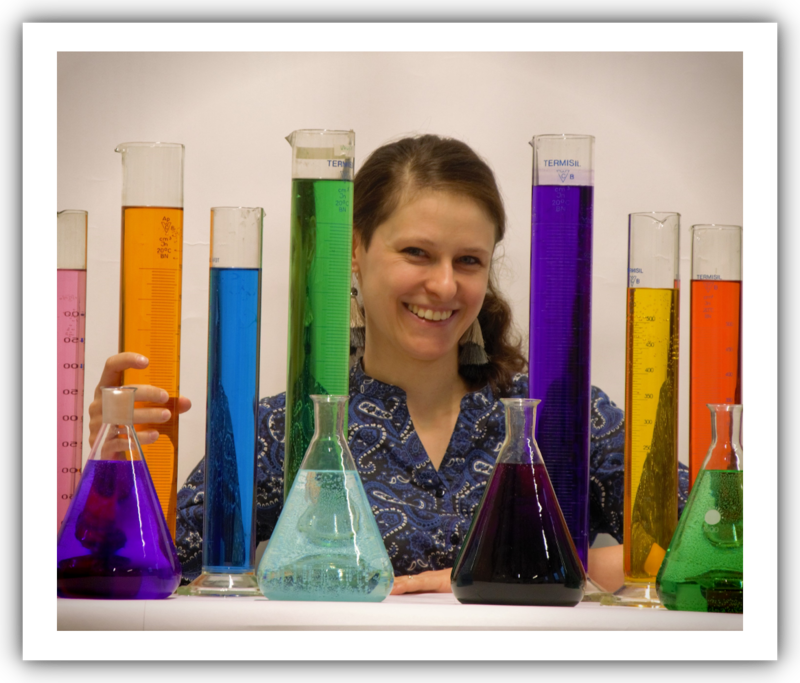 After her PhD thesis defense (Structural studies of selected monoterpinenes by means of vibrational spectroscopy and quantum-chemical calculations), she joined the Jagiellonian Centre for Experimental Therapeutics (JCET) as a postgraduate researcher. In 2013 she received a Go8 fellowship to Monash University, Australia. She then received a Kosciuszko Fellowship to conduct research in 2014 at the University of Illinois, USA. Her research is concerned with vibrational spectroscopy of tissues, cells and biomolecules. In her work at JCET she is particularly focused on spectroscopic biomarkers of lifestyle diseases in altered tissues, investigated by means of Raman spectroscopy. Katarzyna Bułat graduated from the Faculty of Materials Science and Ceramics at the AGH University of Science and Technology in Krakow. 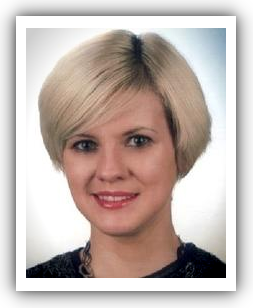 At this faculty Kasia received her MSc degree (2008) and PhD degree in chemistry (2013). The aim of both her master's thesis and doctoral dissertation concerned the structural studies of bioactive phospho-silicate glasses and glass-crystalline materials, based on vibrational spectroscopy techniques. 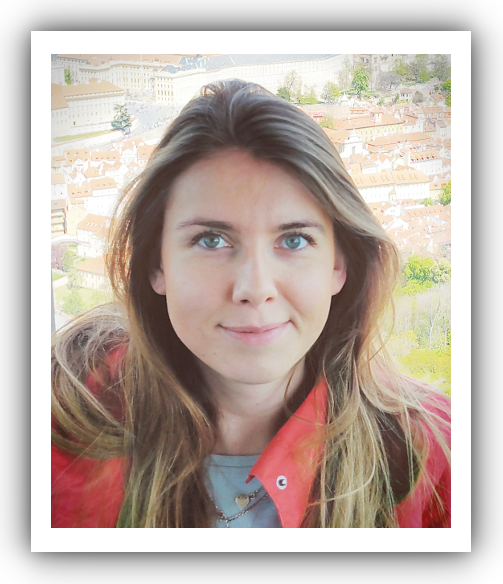 Recently, Kasia focuses on imaging of endothelial cells in the nano-scale, using the scanning near-field optical microscopy (SNOM) and atomic force microscopy (AFM) methods. 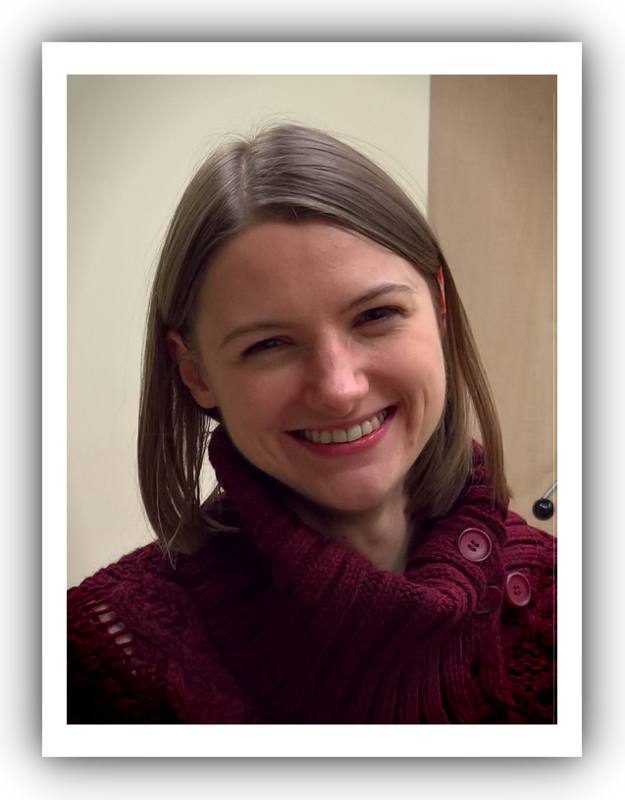 Katarzyna Majzner graduated with MSc in 2011 (the work entitled “Analysis of secondary structure of protein in tissues using FTIR spectroscopy”) and started PhD studies in the area of vibrational spectroscopy. Since October 2011she has carried out the MOL-MED Project (Interdisciplinary Ph.D. Studies "Molecular Sciences for Medicine", acting in concert with the Jerzy Haber Institute of Catalysis and Surface Chemistry, Polish Academy of Sciences, Institute of Pharmacology, Polish Academy of Sciences, Faculty of Chemistry, Jagiellonian University and Faculty of Medicine, Jagiellonian University Medical College). 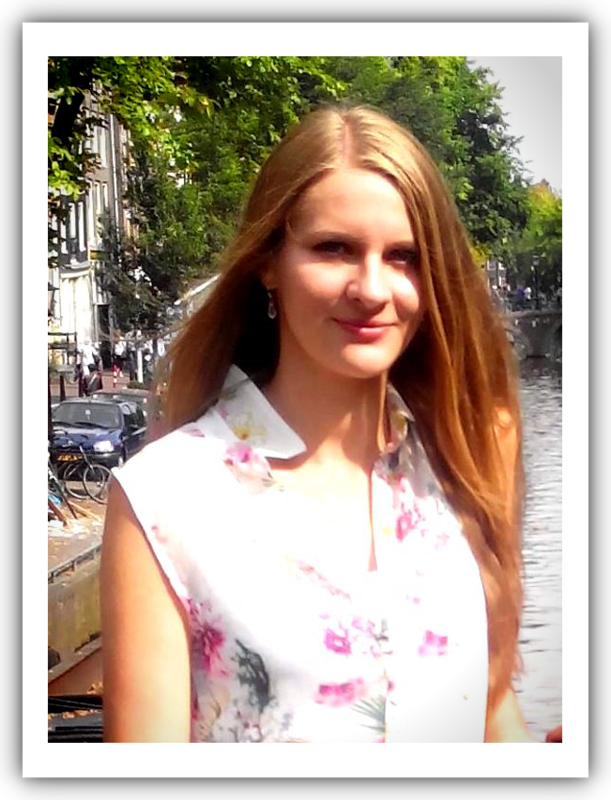 The topic of Kasia’s Ph.D. thesis will be: “Searching of markers for the development of oxidative stress in tissues using vibrational spectroscopy” (main supervisor: dr hab. Małgorzata Barańska, Faculty of Chemistry UJ, assistant supervisor: prof. dr hab. Stefan Chlopicki, Faculty of Medicine, Jagiellonian University CM). 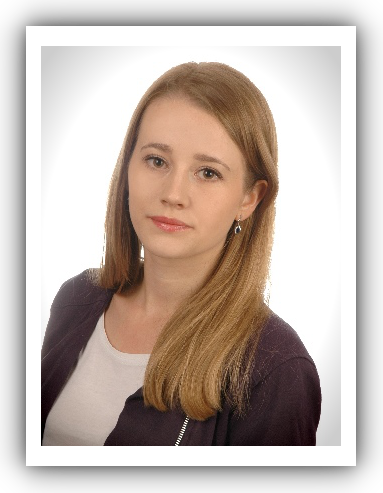 Marta received her Master's degree in 2012 and in 2017 she received PhD degree with honors for the dissertation entitled “Multimodal imaging of chemical changes in the ex vivo tissues in murine models of civilization diseases” (Faculty of Chemistry, Jagiellonian University in Krakow). 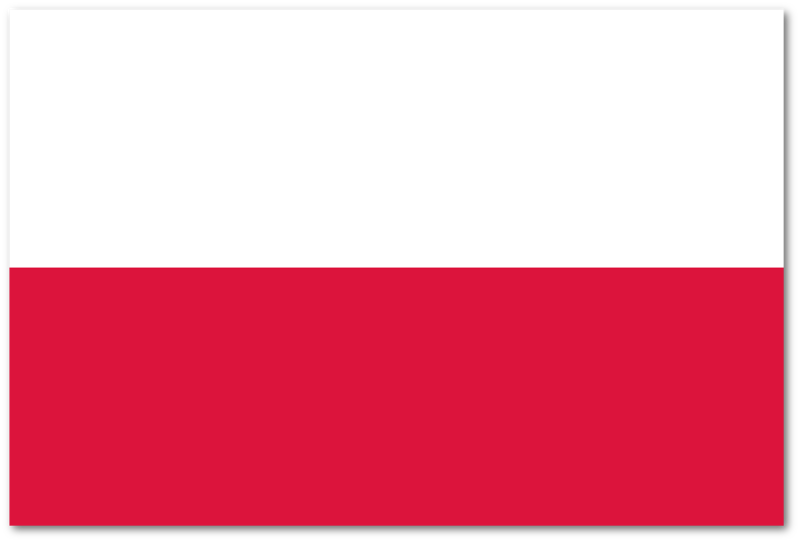 Marta is currently implementing the project SONATINA1 (National Science Centre, Poland). Recent research is focused on measurements of vascular endothelial cells within functional isolated blood vessels exposed to various pro-inflammatory factors in comparison to control conditions. Marta mainly uses the Raman spectroscopy (high-resolution Raman imaging and Raman spectroscopy via Raman fiber probes) and atomic force microscopy. 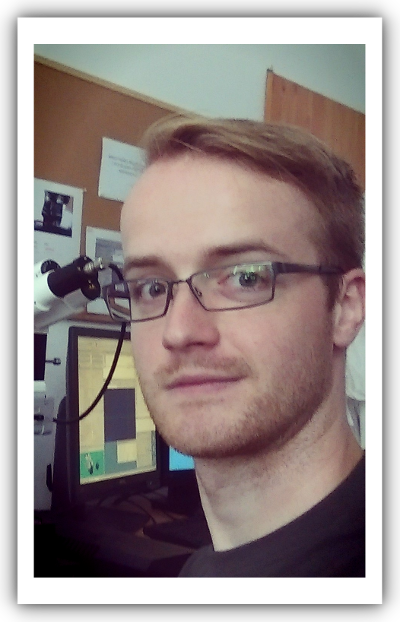 Krzysztof graduated with MSc in 2013 (work entitled "A study of calcium salt deposits in dysfunctional human valves"), and in 2017 he received PhD degree with honors (work entitled "Imaging of chemical changes associated with cell phenotypic modifications in pathological models of the circulatory system using Raman microscopy"). In his research he applied Raman and atomic force microscopy (AFM) imaging combined with chemometric analysis in in vitro studies. In further work, apart from cells imaging, he will develop Raman studies with a fiber optic probe for the chemical characterization of in vivo tissues altered by civilization diseases. 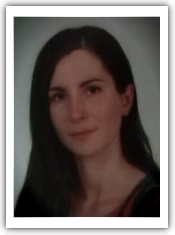 Magda, her MSc degrees in medical physics field received in 2006 at the Faculty of Physics Astronomy and Applied Computer Science at Jagiellonian University, for a master’s thesis “Investigation of properties of red blood cells biological membrane” . In 2013, she received PhD in physics at Faculty of Physics and Applied Computer Science at AGH University of Science and Technology, by a doctoral’s thesis regarding observation and analysis of the changes in permeability and stability of red blood cells’s membrane and cytoskeleton under the influence of changing environment and the action of small doses of ionizing radiation (Petkau effect). In 2013-2018 she expanded her horizons by working outside of university. Currently, at the Jagiellonian Center for Experimental Therapeutics she is focused on cells’s studies in Red Blood Cells Spectroscopy Research Team by using different physical methods, especially spectroscopic techniques and atomic force microscopy. Katarzyna Kamińska received the title of doctor of medical sciences (in field of medical biology) in 2016. From 2005 she was associated with the Department of Pharmacology at the Institute of Pharmacology of the Polish Academy of Sciences, where she was involved in determination of brain neurotransmitters by in vivo microdialysis and high-performance liquid chromatography with electrochemical, coulochemical and uv/vis detection. In 2019 she joined the Jagiellonian Centre for Experimental Therapeutics (JCET) as an assistant. Her research interests are related to the properties of novel psychoactive substances, immunohistochemistry techniques and cancer. Paweł studied at the Faculty of Chemistry, Jagiellonian University, in the period of 2007-2012. In December 2017 he defended his doctoral thesis titled: The study and elimination of interference effects with innovative calibration methods. During his PhD study he attended several professional trainings, e.g. at the Charles University in Prague and at the University of Valencia. In 2018, he was honoured with the award of the Committee of Analytical Chemistry of the Polish Academy of Sciences for his PhD thesis. In 2018 he started working in Institute of Pharmacology of the Polish Academy of Sciences, where he worked on neurotransmitters determinations with the use of high-performance liquid chromatography. In 2019 Paweł joined the Jagiellonian Centre for Experimental Therapeutics. His current research interests are related with Surface Enhanced Raman Spectroscopy (SERS). Grzegorz received his MSc degree in 2014 from the Faculty of Chemistry UJ. The aim of the master's thesis entitled: "Structure, spectroscopy, and stereochemistry of astaxanthin" was to study the optical activity of enantiomers of astaxanthin using resonance ROA spectroscopy. As part of the work Grzegorz did a number of theoretical calculations of ROA spectra, and chromatographic separation of the enantiomers of astaxanthin. His doctoral thesis will involve research of bioactive compounds including xanthophylls using chiroptical methods, especially Raman optical activity. Jakub graduated with MSc in 2014. In his master thesis he focused on interaction between nitric oxide and isolated, human erythrocytes, and in particular on determination of the spin and the oxidation state of iron in nitric oxide-haemoglobin adducts by using biochemical and spectroscopic methods with emphasis on Resonance Raman spectroscopy. The work was an inspiration to further exploration of influence and dependence of nitric oxide on erythrocytes and endothelium on PhD studies. 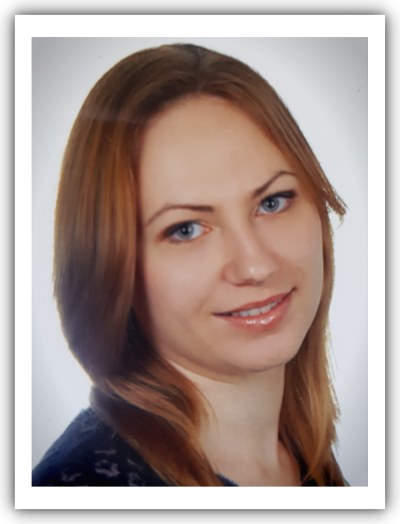 Ewelina graduated with MSc in 2014 from the Faculty of Chemistry UJ. In her master`s thesis she focused on evaluation of capacity of FTIR microspectroscopy in the diagnosis of civilisation diseases caused by environmental factors (diabetes and breast cancer with metastasis to lungs). This included the determination of overall biochemical changes and the identification of spectral markers indicating disease. After graduating, she join the team where she continue research on IR spectroscopy and start exploring issue related with Surface Enhanced Raman Spectroscopy (SERS). Monika graduated in 2015 from the Jagiellonian University. Her master’s thesis has been focused on the evaluation of FT-IR microspectroscopy in the range of diagnostics and monitoring of cardiovascular diseases as atherosclerosis. The aim of the study was to estimate the therapeutic effect of pravastatin on the biochemical profile of atherosclerotic plaque according to animal models of disease. After the graduation, Monika has become a member of the team where she has the possibility to continue with her interests as a PhD student. The main field of the PhD thesis concerns studies on biologically active compounds with the use of Raman optical activity. Karolina defended her master's degree in 2015 at the Faculty of Chemistry. In her work she has focused on the use of Raman and IR analysis of the distribution of retinoids and changes in biochemical profile in lung tumor tissues. 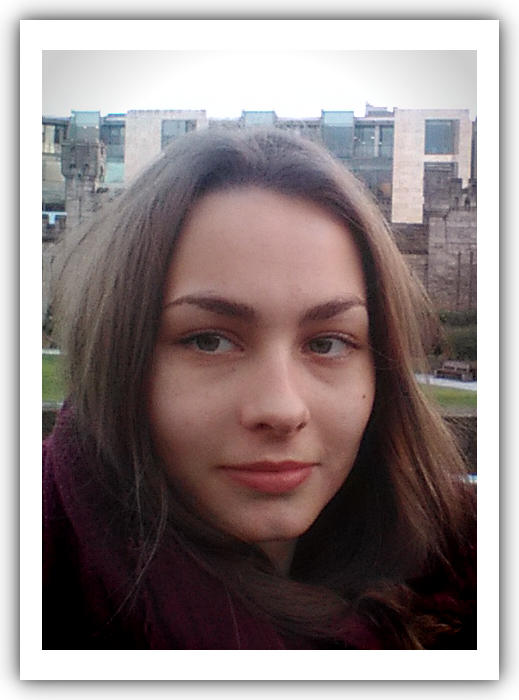 After graduation Karolina joined the team in order to further pursue the investigation on application of vibrational spectroscopy imaging of tissues and cells of animal origin. She is one of the performers Sonata grant. The interest in spectroscopic techniques encouraged Ewelina to undertake research in Raman Imaging Group during her master studies. She graduated with MSc in 2015 (the work entitled “Studies of toxic impact of anthracycline antibiotics on nucleus of vascular endothelial cells with Raman spectroscopy and fluorescence microscopy”) and started PhD studies in the area of vibrational spectroscopy. Szymon graduated with MSc in chemistry in 2016 from Jagiellonian University. The aim of his thesis was focused on the use of Raman spectroscopy in imaging of lipid droplets in endothelial cells culture stimulated with polyunsaturated fatty acids. After his graduation, he decided to continue his work in Raman Imaging Group. The aim of his PhD thesis will be application of Raman and IR imaging for investigation of disfunction in cardiac microvascular endothelial cells (CMEC) in development of cardiovascular diseases. Ada received her Master’s degree in 2015 from the Faculty of Chemistry UJ. She joined our group in February 2016. Her duties include administration matter and support in scientific work. In 2017 Ada got their degree in engineering from Tadeusz Kościuszko Cracov University of Technology. Her engineer thesis entitled: “Hierarchical and non-hierarchical analysis of Raman spectra of hepatocytes” was realized in our Group and supervised by Malgosia. Ewelina received her Master degree in 2017 at the Faculty of Materials Science and Ceramics at AGH University of Science and Technology in Cracow. During preparation of master thesis, Ewelina characterized the structure of silicate – phosphate glasses with addition of B2O3 by using mid- infrared and Raman spectroscopy. In the frame of PhD thesis, Ewelina will be using Raman imaging with chemometric analysis for determination of cytoplasmatic lipids amount in ooctytes. 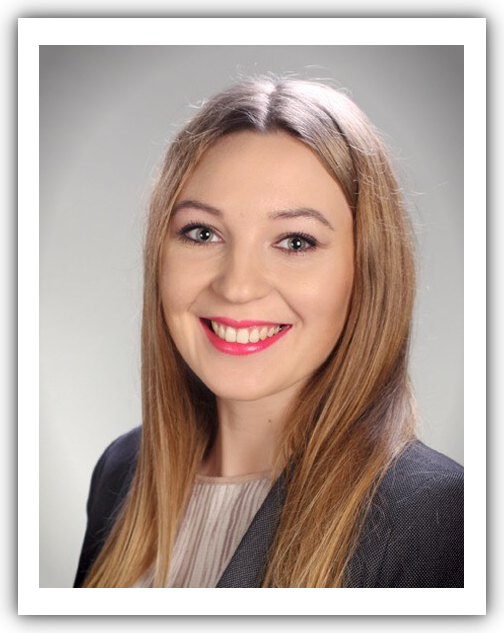 Aneta received her Master of Science degree in 2017 at the Jagiellonian University. Her work concerned using of FTIR microscopy and chemometric analysis to recognition of spectra changes of animal model plasma which represented metastasis of breast cancer to lungs. 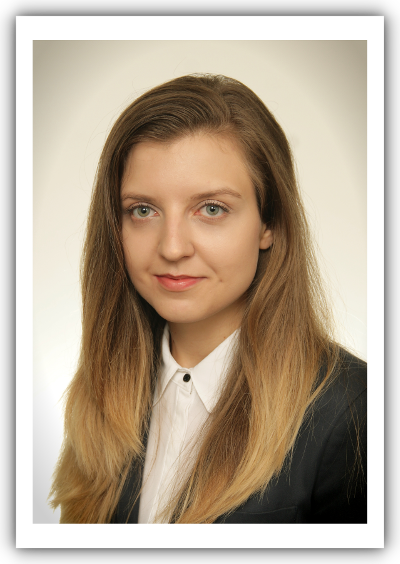 Aneta’s doctorate thesis will include the analysis of biological samples using surface-enhanced Raman spectroscopy and infrared imaging. Ewa received her Master of Science degree in 2017 from the Faculty of Chemistry UJ. In her work she has focused on the synthesis and study of supramolecular astaxanthin assemblies using range of modern chiroptical methods and theoretical calculations. Ewa’s doctorate thesis will include the application of raman optical activity as well as other spectroscopic techniques to research chiral systems. 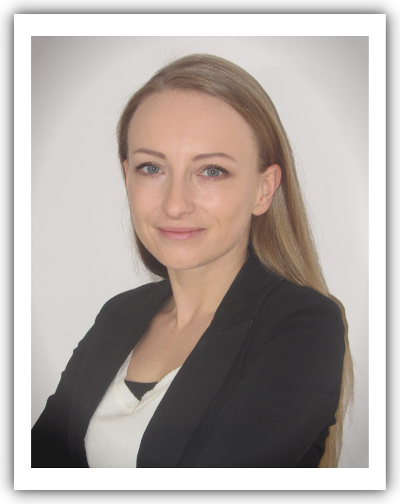 Katarzyna is a graduate of the Faculty of Biochemistry, Biophysics and Biotechnology of the Jagiellonian University (2015: BSc of Biotechnology, 2017: MSc of Biochemistry) and a student of Medicine at the Faculty of Medicine of Jagiellonian University Medical College. In 2017 she started PhD studies on the InterDokMed program. Experiments to interdisciplinary, combining the use of molecular techniques and Raman spectroscopy, doctoral thesis, which topic will concern the impact of epigenetic changes caused by infection with the HPV for cervical carcionogenesis process, she performs in our team and in the Department of Virology of the Chair of Microbiology, UJ CM. Monika has graduated from the Faculty of Medicine (UJ-CM) and Advanced Materials and Nanotechnology (UJ) in 2014. 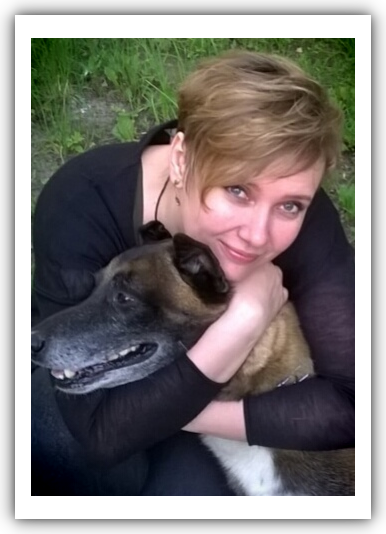 In 2015, after one year of medical practice, she began specialization in pathology at the Department of Pathomorphology of the Jagiellonian University. 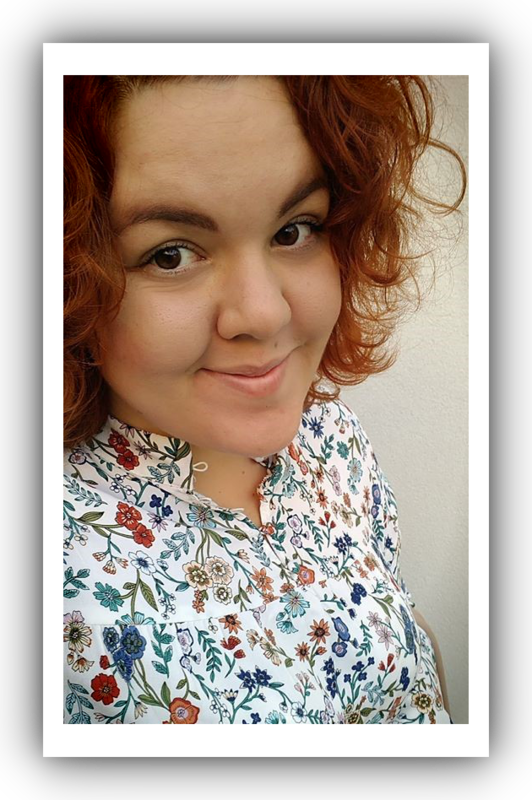 Currently, from March 2018 she participates in the Doctoral Studies "InterDokMed", and the research topis of her work is the spectrodiagnostics of bladder cancer. Ola obtained a master's degree in 2018 at the Faculty of Chemistry of the Jagiellonian University. In her work she focused on receiving and initial characterization of new chitosan-based hydrogels with the possibility of their application on the surface of the skin. For this purpose, a series of syntheses were carried out using four different types of gelling agents and, additionally, the synthesized hydrogels were modified with the aid of various substances having nurturing and / or curative properties. The obtained hydrogels were tested using infrared absorption spectroscopy (FT-IR). During doctoral studies, Ola will focus on the characteristics of phenotype of the stimulated EOL-1 and EOL-1 differentiated in the direction of eosinophilic phenotype production, for this purpose she will use raman spectroscopy. 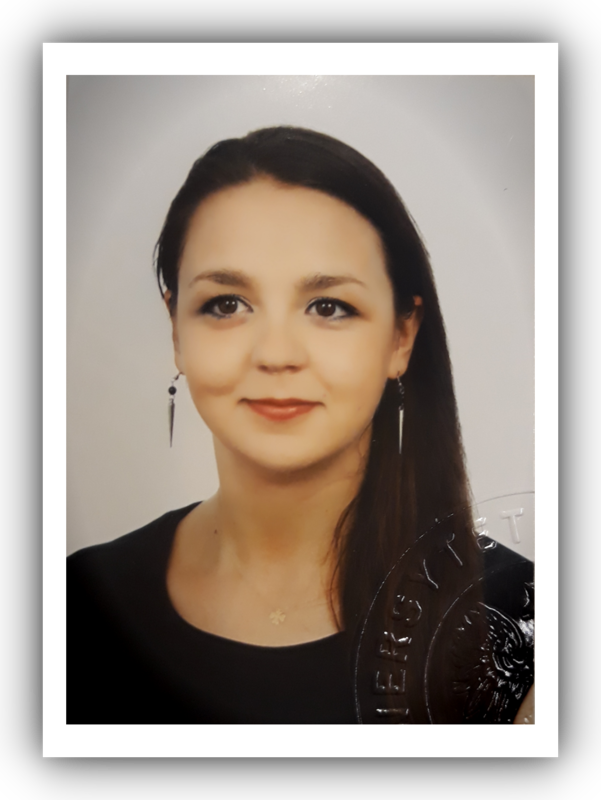 Zuzanna defended her master's degree in chemical sciences at the Jagiellonian University in 2018. The aim of the master’s thesis (title: "Study on pathologically modified tissues using fiber optic Raman spectroscopy") was to perform the spectral characteristics of the murine aorta and to investigate the influence of advanced atherosclerosis (ApoE/LDLR-/- model) on the condition of the vessel wall. After graduation, Zuzanna joined the Raman Imaging Team, where she continues her ex vivo studies using the fiber optic Raman probe. From October 2018, she has been the performer of the project "To catch lifestyle diseases red-handed - in vivo Raman spectroscopy" (OPUS 9). The conducted experiments became the foundations of current research on the perivascular adipose tissue in various models of civilization diseases. Dominika received her Msc (2009) and PhD degrees (2016) at the Faculty of Physics and Applied Computer Science, AGH University of Science and Technology, Poland. The aim of her dissertation was to investigate the influence of selected carotenoids on the adhesive properties of model membranes. As a researcher in the Jagiellonian Centre for the Experimental of Therapeutics (JCET) she will focus on the applications of Raman spectroscopic techniques, atomic force microscopy (AFM) and near-field optical microscopy (SNOM) for the imaging of cells under physiological conditions. The main subject of Dominika's research includes study on dysfunctional endothelium in hepatic steatosis and heart failure. 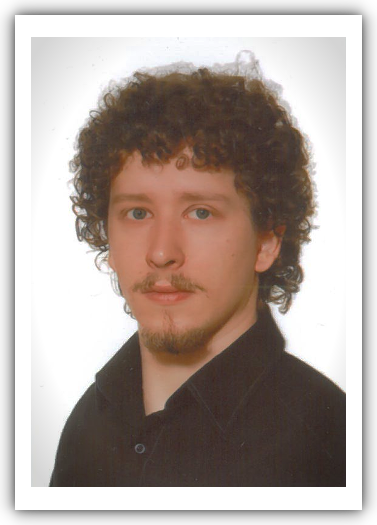 Bożena received his Master of Science degree in 2013 (the Master’s thesis title "Spectroscopic identification of isolated liver cells". The work beyond cell identification was to investigate the biochemical changes that occur during the progression of Non-alcoholic Fatty Liver Disease (NAFLD). The research was carried out using Raman spectroscopy and chemometric methods. 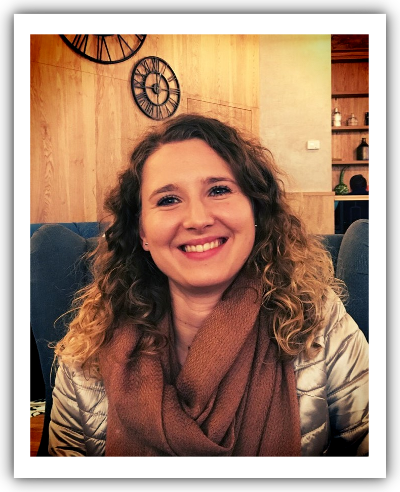 Bozena's doctoral thesis will be "In vitro spectroscopic analysis of lipid droplets: their biochemistry and localization vs. biological function in cells ", implemented within the framework of the Environmental Doctoral Studies (InterDokMed) - Interdisciplinarity for innovative medicine. Anna Rygula was born in Krakow. Ania obtained her PhD degree in Chemical Physics Group UJ in 2006 for the dissertation entitled “From the plant to fabric. Spectroscopic analysis of natural dyes” (supervisor: Prof. dr. habil. Małgorzata Barańska). Her research is concentrated on application of atomic force microscopy (AFM), scanning near-field optical microscopy (SNOM) and Raman imaging techniques for analysis of biological samples. Recent research is related to biomedical application of imaging techniques applied in physiological conditions. Emilia Staniszewska graduated with MSc in 2011. In her thesis she dealt with the identification of pigments and products of their degradation in the layers of paint. Research were carried out using IR imaging and Raman scattering spectroscopy techniques. The preformed work was an inspiration for the preparation of a spectra database of dyes standards used in painting. 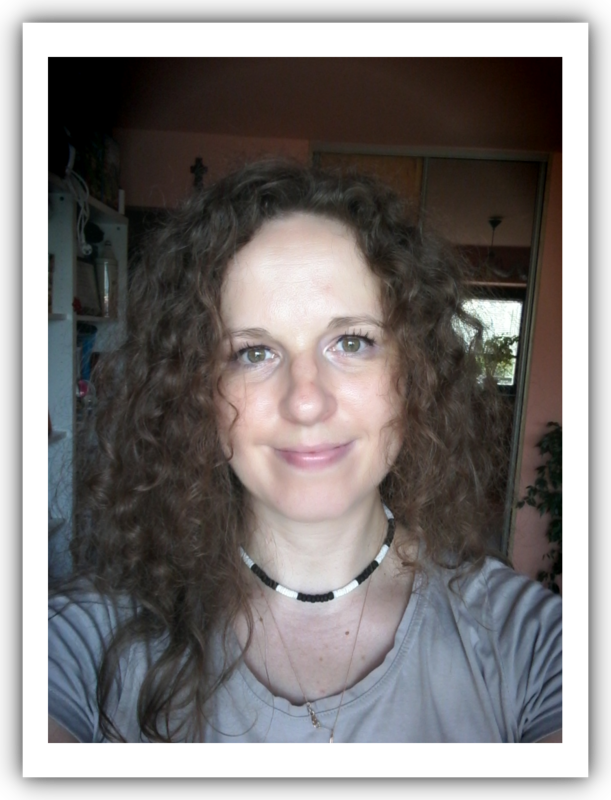 Emilka full of energy and engagement in her job, started PhD studies in the area of vibrational spectroscopy. In the PhD studies she will be focus on animal tissues imaging, especially cancerous tissues. Kamila graduated in 2012. In her master’s thesis she focused on the use of infrared absorption spectroscopy imaging of individual endothelial cells, as well as on application of chemometric methods for the results analysis. Fascination with vibrational spectroscopy led her to start doctoral studies in this area. The subject of her research interests is the use of modern spectroscopic techniques (i.a. FT - IR imaging and Raman mapping) to study biological materials, with particular emphasis on cells and animal tissues. These topics will be further explored during her doctoral studies. Marlena graduated from The Chemistry Department, Wrocław University of Technology with a Master of Science degree in biotechnology (speciality: surfactants and dispersed systems). In 2013, Marlena earned a PhD degree in chemistry. The aim of her dissertation was application of Raman spectroscopy in the study of mechanical properties of soft tissues. The research interests of Marlena focus on vibrational spectroscopy techniques and its application in medicine and biomedical engineering. During her math-science studies Ola focused on chemistry with the specialization in forensic chemistry. Her master thesis ("Development of methods for the analysis of tricyclic antidepressants using Surface Enhanced Raman Spectroscopy (SERS)") on the borderline of toxicology and spectroscopy made her interested in SERS technique that she develops nowadays during her PhD studies, also because she is one of the few people having sufficiently large patience and confidence in this methodology. She is also an employee of a new unit of the Jagiellonian University - JCET (Jagiellonian Centre for Experimental Therapeutics), where she will continue the exploration of modern Raman techniques with particular emphasis on SERS. 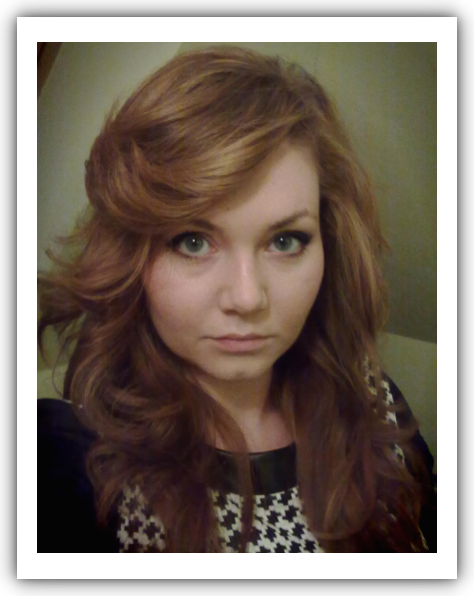 Katarzyna Chruszcz-Lipska is a postgraduate researcher in the Jagiellonian Centre for Experimental Therapeutics (JCET). She got her MSc degree and the PhD title (in 2005, Study of structures of phosphonic compounds by means of spectroscopic methods) at the Faculty of Chemistry at the Jagiellonian University. Kasia concentrates on research of bioactive compounds and her experimental studies are complemented by quantum-chemistry computational methods. Nowadays, Kasia is interested in Raman optical activity technique.She developes also her knowledge in the area of modern Raman techniques (2D correlation analysis, surface enhanced Raman spectroscopy (SERS) and Raman mapping). 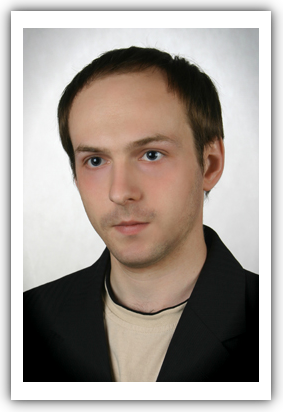 Maciej Roman graduated with MSc in 2009 (the work entitled Structural and spectroscopic studies of a derivative of antraquinone by means of quantum-chemical methods) and started PhD studies in the area of vibrational spectroscopy. Since October 2010 he has carried out the International PhD-studies programme project entitled Analysis of plant secondary metabolites. His research concentrates on spectroscopic studies (vibrational spectroscopy) and quantum-chemical calculations to identify, describe properties, and determine distribution of the most important seconadary metabolites, i.e. polyacetylenes, carotenoids, and alkaloids, in biological materials and related products with beneficial effects on human health. Maciek investigates the influence of variuos factors (stress, pH, temperature, storage) on the content of studied compounds as well. Tomek graduated from an Erasmus Mundus program "Advanced Spectroscopy in Chemistry" and received a double-degree diploma of Krakow-Lille in 2010. He stayed for one year in Lille studying and doing an internship in Proteomics team. Tomek is also employed in a newly created Jagiellonian Centre of Experimental Therapeutics. The topic of his master thesis ("Atherosclerotic plaques imaging by means of FT-IR spectroscopy") and his PhD studies is animal tissue imaging, with biggest interest in endothelium, which dysfunction is involved in western-world diseases like atherosclerosis or diabetes. Tomek is interested in all spectroscopic techniques with special focus on vibrational spectroscopy and imaging. He is also very keen on chemometrics and molecular modeling, which both techniques are important in tissue images analysis. Wojtek Czernicki graduated from the Inter-Faculty Study of Biotechnology at the University of Agriculture in Krakow. He also graduated from Forestry at the University of Agriculture in Krakow and he did postgraduate studies in Computer Science and Management at the University of Mining and Metallurgy in Krakow. At present he works as a technologist in a pharmaceutical company. In his research Wojtek concentrates on polymorphic active ingredients used for medicines manufacturing. He uses both spectroscopic techniques (including Raman 2D mapping) and quantum-chemical calculations. Identification of active ingredients, defining their distribution and structural studies allow him investigating transformations of a pharmaceutical product during technological processing.